In Part One of A Dating Guide to Automotive Digital Advertising we’ve covered the automotive and digital landscape. Part Two will unveil challenges and some ideas on how to approach them. So far, the dating has been going well. You’ve attracted some interesting prospects and gone on a few dates. You think there could be something there, you know? Now, how do you seal the deal? What do you say, and how, and when? And then how do you keep the relationship going strong. You can’t let up once you meet your soulmate. When is the Best Time to Talk to Him/Her and How Do I Do It? This is where you introduce your brand and models to buyers with a memorable creative. Going back to “Loyalty”, GM calculated that every 1% of customer retention they increase has a $700M a year impact (Yahoo News, 2014). OEMs often miss a retention strategy after the car is sold. (!) Consider a retention plan that focuses on service moments such as a flat tire – target mobile phones in search. Helping a consumer make it home may make them a customer for life. This not only builds loyalty but keeps your audience list fresh in order to build lookalike audiences as well as remarketing opportunities. We live in a time of bots and software interfaces that communicate with each other. These days, software controls almost all of your car’s functions. Accessing this technology and finding a syndicated advertising solution can strengthen the success of your automotive digital advertising campaigns. (!) If you’re using a bot to handle your customer service requests, Facebook allows you to promote this feature in ads. This is perfect for remarketing. (!) Updating car prices used to be a manual process, now using website price scrapping or API connections, we can dynamically update prices in search ad copy (more on this). We can also promote variations in ads based on certain conditions. If it’s sunny outside, trigger more ads for convertibles. If it’s raining, promote a performance car or tires made for the rain. (!) Digital ads on Spotify that stream to your car, directly or from your phone, can help you reach your audience while they are driving. Through implementing time of day, device and location targeting, your automotive digital advertising campaigns will be even more successful. Consider your messaging in this environment. Our goal here is to remove as much friction and cannibalization between tiers as possible by setting up tools, processes, strategies, and holistic audience sharing across all tiers and touch points. It can be difficult to understand who is handling what. 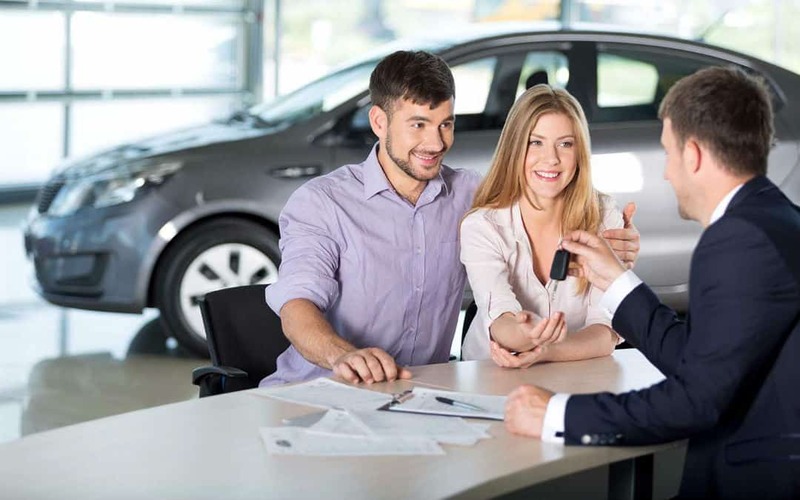 Dealers have an interest in promoting and prioritizing themselves. Nobody is wrong or to blame. There just needs to be a compromise. Conflicting messaging that does not address consumer needs in the right moment will likely decrease CTR, which in turn will decrease Quality Score causing CPCs to inflate. As the same keyword will be used by all tiers, the price per keyword will inflate for all competing at the same ad position. Remarketing strategies can also be shared across Tiers. At a National level, we can promote similar models or variations of that model (e.g., color). At the Dealer level, we can focus showing what models are in stock and the nearest dealers. “I feel” seems like a great word in dating, but may hurt your automotive digital advertising activities. “I feel” is better translated to “I don’t have enough information to back-up the claim I am about to make”. Analytics platforms such as Google Analytics and Omniture can help you make intelligent decisions and start to get away from “I feel”. (!) We need to first set measurable KPIs so you can be “sure” of things and not have to revert to feelings. Instead, dig deeper into attribution reports and cost-per-acquisition to discover if the theory still holds true. Don’t turn off your brand terms because of “feeling” organic is working better, have a look at your “Paid vs Organic” search report and see what kind of incremental lift in traffic you gain with the combination of both organic and paid search. A novel could be written about automotive digital advertising. We’ve just scratched the surface. The next editions will focus individually on each channel: SEM, Display, Social, Native, Video, and SEO. We will reveal targeting strategies and learn how to develop insights from advertising efforts to inform business decisions. Read more to deepen your channel knowledge of SEM in Part Three, A Dating Guide to Automotive Digital Advertising. If you want to learn more about how we can supercharge your auto campaigns, drop us a line. We’d be happy to conduct a free campaign diagnosis to make sure you are ready for the road.